When we moved into our house a couple years ago, my daughter and son shared this bedroom. It had animals painted all over the walls and they both loved it! Well, being an artist I couldn't leave this room that way for a very long time. I really liked those little guys and still think the room was a lot of fun. for her room before my daughter was even born. It took my daughter a little while to fall in love with it. 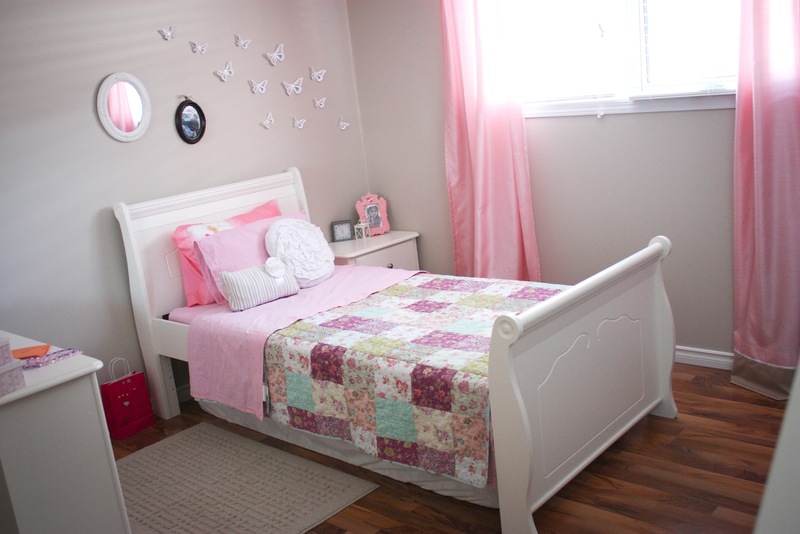 she thanked God for her beautiful bedroom - finally!